Clarksville, TN – Waking up at a new time, making it to class, eating enough breakfast, not eating too much lunch – the life of a college freshman can get a bit daunting. After about 18 years of guidance from parents and teachers, these young men and women now have to grapple with their sudden freedom while plotting out the rest of their lives. 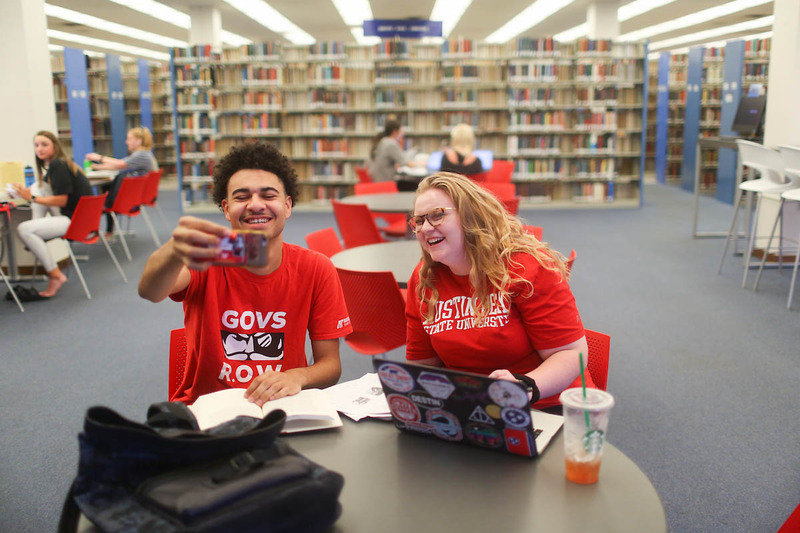 APSU freshman students Derek Nicholson and Janesa Wine of Dickson County will document their freshman year at Austin Peay through IG TV videos and occasional stories. 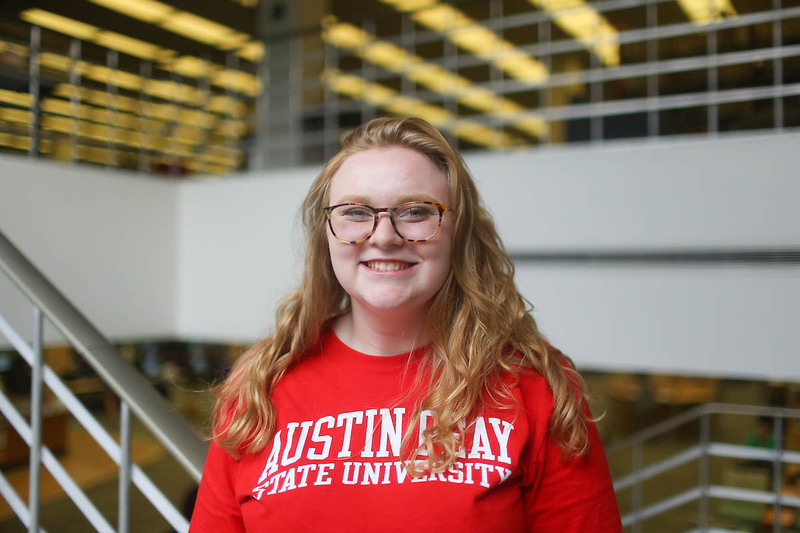 At Austin Peay State University, nearly 2,000 freshmen face these challenges each fall, with most people not realizing the struggles and successes they experience daily. This year, you can follow the ups and downs of freshman life as two first-year students regularly share their stories on the Austin Peay channel of InstagramTV. Derek Nicholson wants to one day own his own marketing firm. Growing up in a Nashville public housing complex, Derek often saw only two choices in life – sports or the street. “I’m from the projects, and those are the two options,” he said. But while in high school, Derek decided not to let his address define his destiny. 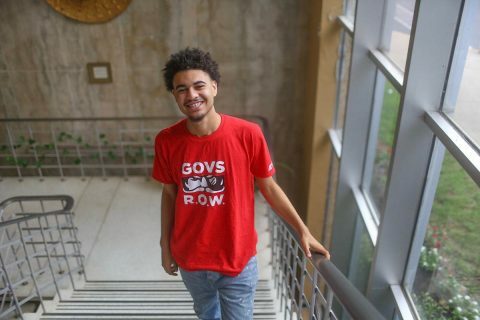 Through Opportunity Now, a Nashville youth employment initiative, he landed a marketing internship with Goodwill Industries. That job led to a spot on the Mayor’s Youth Council, and over the summer, he earned a communication internship with Metro Public Works and he became a youth financial coach with First Tennessee Bank. But even with this success, he knew he needed a college degree. Derek looked at other schools like Middle Tennessee, but the size of that university didn’t appeal to him. “I felt like there were more opportunities for me to grow and more opportunities for me to stand out at Austin Peay,” he said. So in August, with the goal of one day owning his own marketing firm, Derek packed his room and moved 40 miles north to Clarksville. He’s had a few challenges, such as figuring out online assignments and navigating the freedom his professors provide, but he admits he’s already found a home on campus. Janesa Wine is studying nursing at APSU while being a certified nursing assistant in Dickson County. Janesa is a Dickson County High School graduate studying nursing at Austin Peay. Her biggest challenge her freshman year is being her own guide on the workload. Also getting to meet new friends reminds Janesa of her freshman year in high school, which she entered after being homeschooled. But she’s excited about finishing her first semester, attending her first home football game, taking her first final exams. “There are going to be times I feel that are going to be really stressful, and there are going to be times that are very exciting.